The holiday season is upon us, and the Michigan iLottery has a lot of special packages for us to unwrap. This update will look at a free promotional giveaway, as well as a number of new games to spark your holiday cheer. For the first major promotion specific to Michigan’s online lottery in several months (notwithstanding some brief Black Friday bonuses), the new Sweet Surprises giveaway does not disappoint. Every day until the offer ends, registered Michigan Lottery players can log into the Sweet Surprises section of the 2nd chance play site to enjoy holiday food-themed bonus play. Players will first click on a mug of hot chocolate to stir it, revealing a number of entries to a $10,000 drawing that will be held at the end of the promotion. Next, four gingerbread cookies will be presented for the player to choose from, which may result in an instant prize of retail free play from $2-$5. Afterward, a daily challenge will be announced, indicating a different game chosen each day that can be played to earn extra entries into the giveaway drawing. Sweet Surprises can be entered from December 4 to 17, with the big Grand Prize drawing occurring on December 19. 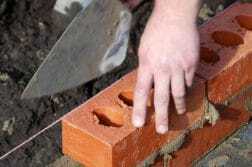 The beginning of winter has also resulted in a number of new online instant games added to the iLottery site. 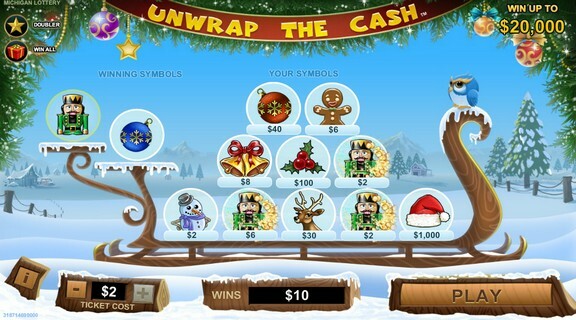 Unwrap the Cash is the simplest of the new offerings, a very basic match game set in a wintry landscape with a sleigh full of gifts to unwrap. Players are given two winning symbols to reveal, and ten chances to try match them for a random prize while a blue snow owl hoots in the background. If you reveal a star symbol you get double the prize value, and if you manage to turn up a red present you get all the prizes shown. Tickets range from $0.25 to $2, with a maximum prize of $25,000. Odds of winning a prize on each individual ticket are a generous 1 in 2.29. This one should resonate with players that like to keep volatility to a minimum. Christmas trees, holly, and snowmen adorn this wintry version of 7×7, a standard large-scale line game. The ticket is a 7 by 7 square grid of random Christmas symbols, with random prize values attributed to the different horizontal, vertical, and diagonal lines. A panel of 12 gifts is presented on the right of the ticket, 7 of which get unwrapped to determine which symbols become activated. Completing any line of symbols earns you the prize value of that line. Tickets cost from $0.50 to $10, with a maximum prize of $100,000. Overall odds of winning are 1 in 3.30, rendering Merry 7×7 a somewhat more volatile game than Unwrap the Cash, but also one with a greater chance of earning a bigger return on your investment. Players sensitive to the tune of Jingle Bells should be warned it will play after wins. 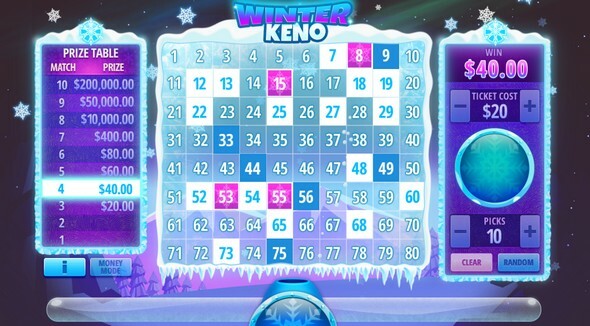 This new seasonal variation of Keno plays exactly the same as the standard Instant Keno game already available on the site. The lottery has simply added snowy graphic and sound scheme superimposed over the original tickets. 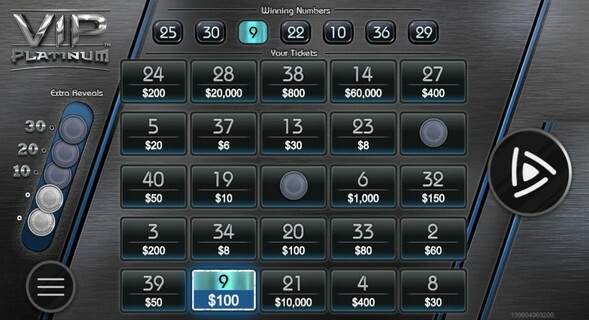 For those unfamiliar with the Instant Keno, this flexible Keno variant allows players to pick between 1 and 10 numbers on a 80 number grid, with the prize table dependent on the number of picks and the ticket cost. For instance, four picks will yield prizes for matching 2 to 4 numbers right, with a top prize of 100x. Go for 10 picks and win a staggering 25,000x for nailing all of them. Of course, that won’t be an easy task, given that only 20 numbers are chosen at random. Still, the odds of getting 3 right (even money) or even 6 (4x) are good enough that players will find themselves staying in the game long enough for at least a sweat at a top prize. Play still costs from $0.10 to $20, with a maximum prize of $200,000. Overall odds of winning are 1 in 2.87 (once again, the same as Instant Keno). 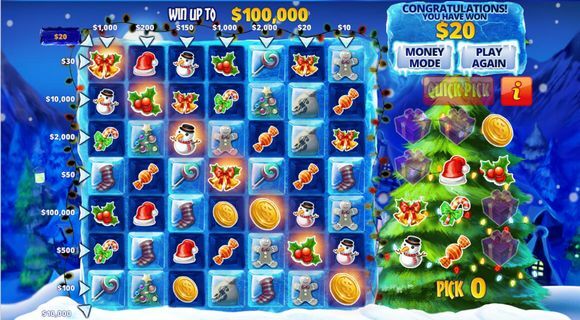 This high-end match game may not have a holiday theme, but it’s still a noteworthy new addition to the MI online lottery. 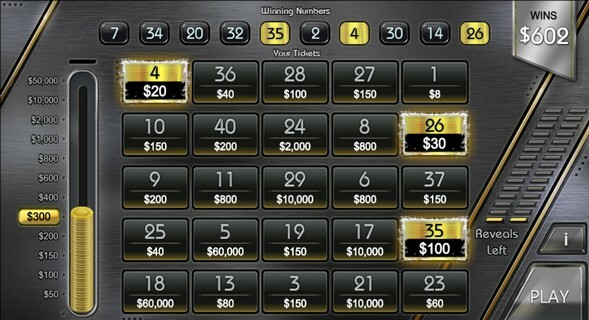 Rows of single-number tickets are purchased, with the hopes of matching one of a set of winning numbers to earn a random prize value. Platinum coins can also be revealed, with a sufficient number triggering a bonus game for extra winnings. Tickets cost from $0.05 to $2, but must be purchased in multiples of 5 (up to 25), meaning your actual cost per play ranges from $0.25 to $50! Overall odds of winning are 1 in 42.54, but remember you can play multiple ticket lines for enhanced odds. Despite the added expense, most players that like this game will want to stick with the full 25 tickets per play to maximize the chances of unlocking multiple reveals on the bonus card, as this is where the winnings can really add up. Speaking of, the bonus is triggered by collecting 3 and 5 Platinum coins, earning players between 10 and 30 extra reveals (which is just a fancy way of saying free games). 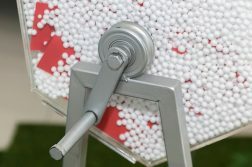 In the free games round, players will have 10 winning numbers as opposed to 7 in the base game, and can also collect stacks of coins. The latter works on a sliding scale, with the first few stacks collected only awarding a small bet multiplier, but things really start ramping up after you’ve collected 6 stacks. Collect twelve stacks and win a ticket bet multiplier of 25,000x. The Thursday night Fantasy5 drawing has an estimated jackpot of $156,000. The Saturday Lotto47 is up to $3.25 million so far. Friday’s $226 million Mega Millions jackpot will be followed on Saturday by a $217 million Powerball drawing.